$15.49 on Amazon look inside this book! 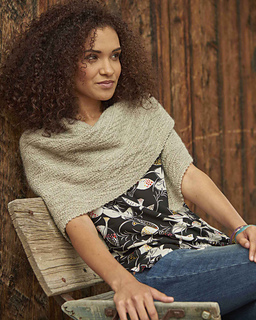 Inspired by traditional fishermen’s gansey sweaters, the Gansey Shawl uses traditional gansey patterns over a classic shawl shape in a worsted-weight yarn. 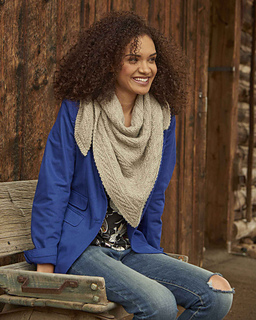 This is a great pattern for those colder months when a lacy shawl won’t do the trick. 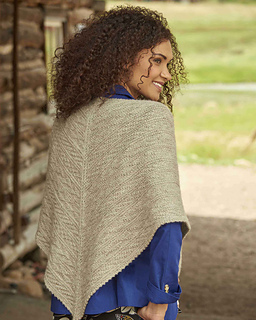 The result: a big, cozy shawl that’s as functional as it is beautiful. 56” (142 cm) wide and 251/2” (65 cm) long at center. Shown here: The Fibre Co. Cumbria (90% wool, 10% mohair; 238 yd 218 m/31/2 oz 100 g): #01 scaffel pike, 3 skeins. Size U.S. 6 (4 mm): 60” (150 cm) circular (cir). 16 sts and 33 rows = 4” (10 cm) in chart patt, blocked. 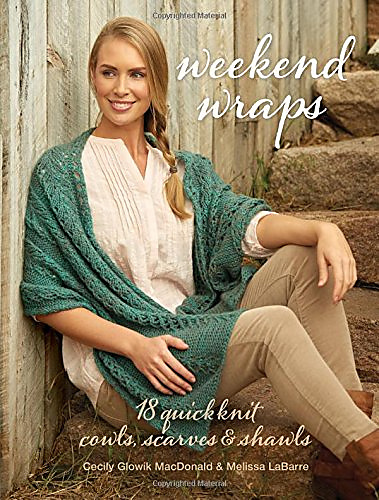 This shawl is worked back and forth from the neck down, starting with a small number of stitches and increasing to the largest number of stitches. When working from the charts, slip all markers as you come to them unless instructed otherwise.